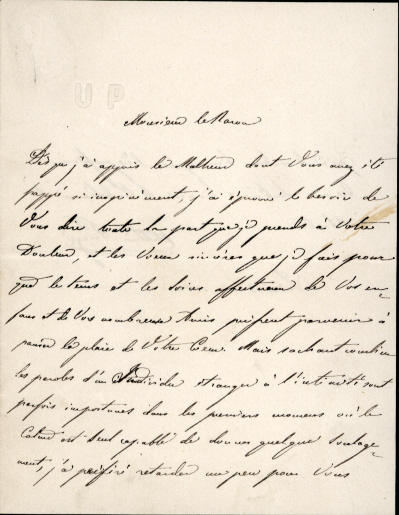 Autograph Letter Signed, to ‘Monsieur le Baron’, elegantly phrased, sending condolences, etc. In French. 1½ pages 5 x 4 inches, fine, embossed initials. 13 June 1864. Ubaldino Peruzzi (1822-1891), Italian politician, instrumental in the development of the Italian railways.